Whole grain foods like brown rice, pasta, oats, and wholemeal bread are packed with nutrition, and there’s good evidence showing multiple benefits to consuming more of these in our regular diet. Unfortunately, 59% of Australians still choose to eat mostly refined grains, leaving us with less than half of the recommended 48g daily intake of whole grains. So why are Australians still eating less than we know we should? For many of us, it comes down to the extra time it can take to cook whole grains, as well as simply not knowing which whole grains to use, or wanting to buy an entire packet for only one meal. That’s where we come in. Enjoy fresh, pre-portioned ingredients and easy-to-follow 6 step recipe cards delivered direct to your door. 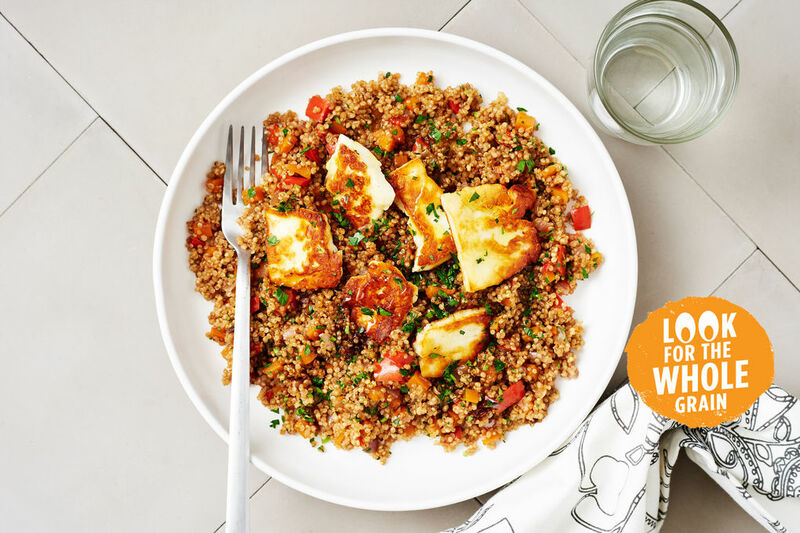 With Marley Spoon you can cook up delicious dinners in only 30 minutes, and with 12 recipes to choose from every week including kid-friendly, vegetarian and healthy choice options you will never run out of variety. Look out for the special badge on our upcoming recipes to have a chance to try out a variety of delicious, healthy whole grains with fantastic tips and tricks straight from our team of qualified chefs and nutritionists. Did you know that on average, whole grains actually only take a total of 4 minutes longer than their refined counterparts to cook? And that you can reduce the cooking time even further by soaking certain grains such as freekeh overnight? So why not try a few simple swaps this Whole Grain Week to boost your health, without compromising on taste or time. Take a look at our upcoming menu for delicious whole grain dishes, ready in a flash! Plus, check out the Grains & Legumes Nutrition Council for more information on the Whole Grain Awareness Week.